The heatsink is too damn big! Fortunately its not quite so bad as that. 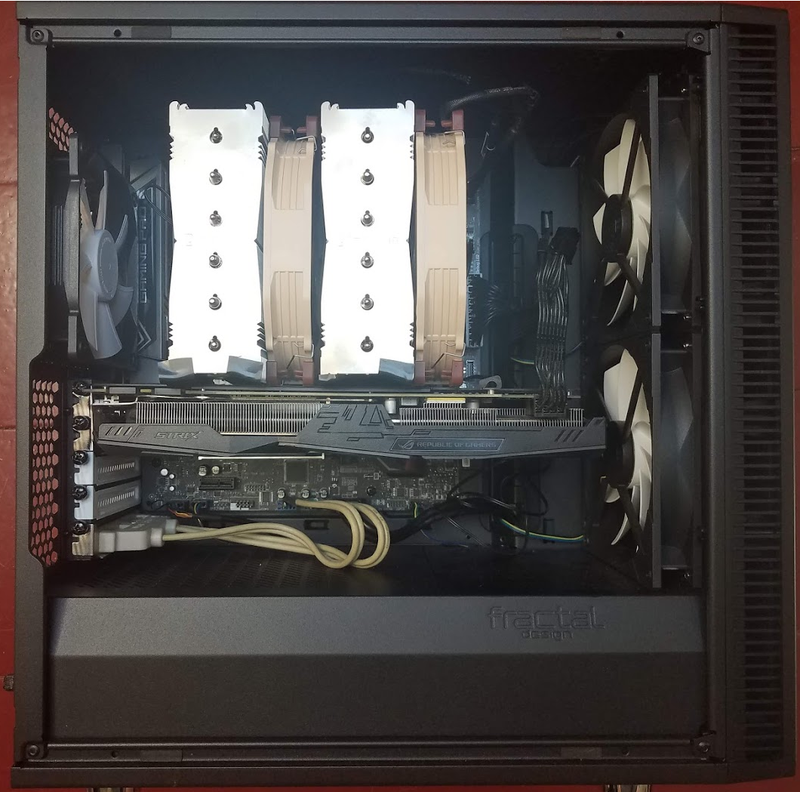 The heatsink, fans, and fan clips do make contact with the video card, but not so much that they cause significant deflection, and the back of the card is almost entirely heat spreader, and even that has a plastic sheet over it, so there’s not much chance of shorting it. Just to be safe I did a lackluster job using electrical tape to cover the bottom of the heatsink and fan clips. Seems to have worked fine, though I’m a bit worried I might have to replace the cooler if I end up upgrading the video card down the line. tl;dr: Actually pay attention to those compatibility matrices if you don’t want to look like a moron.